Over the past few years, I’ve been on the road quite a bit. Well, as much as somebody who works full time is ever able to be. I have averaged 2-3 trips per year within North America, each one bringing different money saving (and splurging) opportunities and challenges. I just recently returned from a trip to Southern California, where we stayed the entire trip for $50 (the AirBNB cost for our last night there). Thanks, couch surfing! Alcohol was dirt cheap in New Orleans, and transportation was a very small line on our budget in New York City. Something that I’ve found throughout all of my trips to the many different places I’ve visited, is that food is always a cost that is hard to contain. After all, you’ve got to eat! Plus, I have to admit to having a guilty pleasure for going all out on local cuisine when I travel. I have a big appetite and love to eat. Even so, after spending hundreds of dollars on food on my trip to NYC, I began to look more into saving some serious money on dining for my next trip. I know grocery shopping doesn’t sound like a lot of fun when you go away on vacation (you’re probably dreaming about not having to do that! 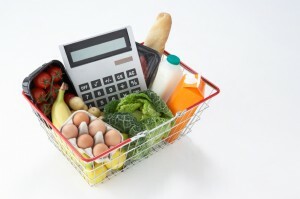 ), but even if you don’t have a full kitchen in your accommodation, you can still save a lot of money by grocery shopping for your food when you get to your destination. If your accommodation has a fridge, you can make salads and cold meals easily. There are a lot of things you can make without a full stove, so this is a pretty good option if you want to be very frugal. Even buying pre-made salads and entrees at the grocery store is substantially cheaper than eating out. Daily deal sites can be a pointless waste of money when you are at home, but when you are on the road they can be a budget saver. If you have a Groupon or Living Social app on your phone, the app can detect your location and give you restaurant deals near where you are, helping you save substantially. Beware of the fine print, though. Sometimes, these daily deals can only be used on specific days of the week or require a reservation. Bonus tip: There are often great deals on attractions on daily deal sites, so keep you eye open for those as well. When I am travelling, I am often hungry; I think it’s because of all of the walking I do to and from different attractions. They say the best way to see a city is on foot, so I take that very seriously. I don’t want to have a full meal every time my stomach grumbles, so to avoid the cost and caloric implications of café and gas station snacks, I pack my own in my suitcase and throw a few in my purse when I leave my hotel. I pack things like granola bars (the healthier and higher in protein, the better), fruit that doesn’t have to be cut up, a small bag of popcorn (surprisingly filling), or some veggies. Be careful not to pack anything too wet for snacks. You don’t want them blowing up in your bag, especially when you are travelling. We’ve all been on those trips when we indulge almost every day (for every meal!). Instead of going out for a fancy dinner every night, spend $6 on dinner at a food truck one night and the next night, indulge yourself by picking a place at which you’ve always wanted to eat. Generally lunch and breakfast can be cheap and easy. Remember, a treat is called a treat for a reason! How have you saved money on food while travelling? We like to eat two meals a day with snacks to tide us over when traveling. When I traveled on business, I bring snacks too, because sometimes I’m just too tired to go out and eat and room service has it’s limitations. Also, when in a foreign country, I get sick of the food and that bag of Smart Pop comes in very handy! Packing lots of snacks can definitely be helpful! As long as the one with free breakfast isn’t more expensive, then that’s a great strategy! Having a plan when you’re on the road is a great way to save money. If you map out what you’re going to eat, where, and stick to the plan, you’ll know exactly what you’re going to spend. when you don’t have a plan…well..that’s when you end up eating somewhere for convenience, and paying for the food AND the convenience! These are great tips! Overall, the most important thing is to plan ahead. It’s easy to overspend when you didn’t have a plan in the first place. Great article! Planning ahead is definitely key. I recently took a business sales trip to Florida (from New Jersey), and my company allowed me to bring my spouse as long as I paid for her airfare. We were going to be in the rental car a lot, crossing the state to make sales calls. Our first stop was Wal-Mart, where we bought a styrofoam cooler, a case of diet soda, a case of beer (not while driving! ), some bagged salads, dressing, cheese, and a bag of ice. Across the street was a Dollar Tree where we stocked up on pretzels, crackers, and some healthier cheap snacks. Between breakfast buffets and refreshing our cooler ice at motels, we saved enough to splurge on three truly memorable meals! Oh, and we donated the cooler to our hotel maid on our last night.